Juniors Embroidered Bib with Snap Button Closure | Multicolour | Helps to protect baby cloth from getting stain. 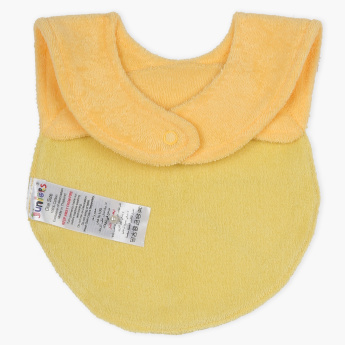 Carry this bib outdoors for your little one to protect their new outfits from getting stained. 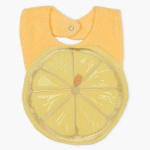 This bib comes in a unique lemon shape with back snap closure and ensures your kids will be strain-free. Feature 2 : Extra soft and gentle. Feature 1 : Helps to protect baby cloth from getting stain.